I have a general philosophy about a Disney vacation. Why leave property? I take long vacations where I spend nearly all of my time if not all under the Disney umbrella. But during my last trip I did discover that I could have some fun without being in the Disney zone at all times. So I am beginning to ask myself if there might be things in the entrainment industry outside of Disney that I would consider sampling. But would I ever consider visiting Disney's biggest theme park rival? Universal vs. Disney: The Unofficial Guide to American Theme Parks' Great Rivalry by Sam Gennawey details the foundation and expansion of Disney's theme park rival. Universal's introduction to entertainment actually goes back to December 3, 1913, when Carl Laemmle opened his film studio to the public allowing them to see movies being made. In 1915, Laemmle expanded his lot Universal Studio even further and began to stage a fake disaster for those who took the studio tour. In 1958, Music Corporation of America (MCA) would purchase the Universal Studio lot and the studio tour would grow under the leadership of Lew Wasserman and his associates such as Jay Stein. The MCA team would regularly work to create attractions that could attract locals and repeat business whie making the best commercial possible. However, MCA saw their tour as an attraction that complimented not competed with Disneyland. With the expansion of Disney into Florida in the 1970's, the Universal team looked to build a production studio and studio tour that could again complement Disney theme parks. However, with the naming of Michael Eisner as Disney CEO, Disney announced their own movie theme park, which would become Disney-MGM Studios with attractions that seemed to duplicate Universal's plans for a Florida park. With Disney's own announced park, the Universal team began a quest to build a park to challenge Disney with partners like Steven Spielberg. The quest would not be easy as MCA changed hands through corporate sales. Gennewey discusses Universal's failures, delays and eventual success in building a theme park that could rival Disney with Universal Orlando. I really enjoy Sam Gennawey books, and his books always come across as serious history to me. His use of footnotes and extensive research makes it clear that his books are a step beyond the typical book directed for Disney fans but are also books that could be used by academic historians. Universal vs. Disney is the kind of book that could be used in a theme park history course, and probably will be in the future. And it has the tone of an academic monograph. His writing is clear and easy to understand. My chief criticism of his writing is that his chapters tend to stop abruptly. I really wish he had provided a summary paragraph that captures the tone or theme of his chapters. It would provide the reader both a review, but a sense of closure and likely foreshadowing of what is to come. 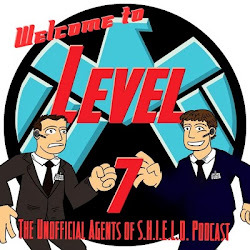 One of the things that I really hoped for was a discussion of the Universal Orlando contract licensing Marvel characters. As a Marvel Disney fan this contract fascinates me since you can see Captain America at the competition and not on Disney property. Gennawey does give over five pages to the discussion of Marvel, but the majority of this information is about attraction development especially The Amazing Spider-Man: A Web Slinging 3-D Ride and not contracts. And the Disney purchase of Marvel and the limitations in place for Disney's use of Marvel properties is not detailed. I would have liked to see mention of the Avengers themed monorail for example. I assume that this conversation was limited by two things. 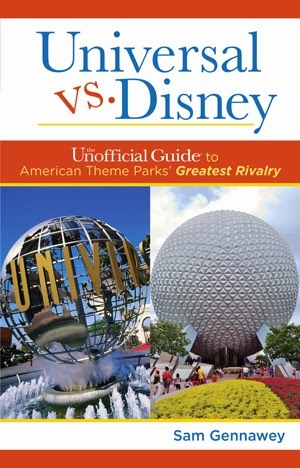 First, Universal vs. Disney really is a book about the Universal theme parks. And honestly that felt like a good choice to me so Gennawey did not have to repeat material from books including his own The Disneyland Story. Since my knowledge of Universal and MCA history is quite small the book felt new and fresh to me. Second. I doubt that the details that I want about the Universal/Marvel contract are really available for public review. As I mentioned, there is not as much Disney history as I expected. Disney's presence is always there throughout the book, but Disney is a supporting actor not the co-star of the book. Disneyland and Walt Disney World is discussed as a complimentary and different type of attraction; a theme park not a studio tour. And until Eisner's arrival at Disney, Universal was really not attempting to promote themselves as the same type of experience as what Disney offered. But Eisner really did serve as a catalyst for two entertainment companies. While his leadership was taking Disney to new places, the image of him as a villain was taking Universal into the theme park industry with the hope of challenging Disney and embarrassing Eisner personally. Eventually the Wizarding World of Harry Potter would finally reach a level of theming beyond Disney's high standards, forcing Disney to go to new places years after Eisner was no longer with Disney. Mistakes were made. If Universal had the proposed Knight Rider/A-Team stunt show they hoped for, it would have had me through the gates years ago. Sadly the show would never be. And perhaps it was mistake on my part never visiting a Universal theme park. Universal vs. Disney has shown me a history of a theme park that started four decades before Disneyland opened. And I can truly say that I know understand how Disney both positively and negatively influenced the development of a non-Disney park.